Although many people are moving away from traditional forms of payment, preferring to pay by credit or debit card or even through a PayPal account, check writing is still a popular mechanism people use to pay bills. 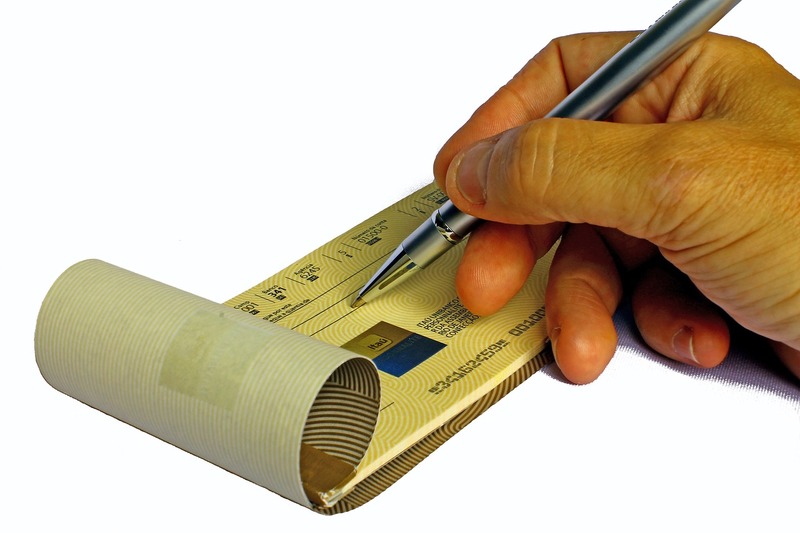 When an individual receives a check, whether it is from an employer or perhaps from a friend or acquaintance, they usually turn to their own bank or credit union in order to cash the check. However, some people may have moved to a new city or state and have not yet had an opportunity to open up a new bank account. Others may simply prefer to keep their money with alternative payment services that do not cash checks, such as PayPal, Venmo, Square Cash, or Alipay. Furthermore, since banks especially are notorious for charging fees for just about everything, some people simply cannot afford a bank account that gradually chips away at their balance. Can I Cash My Check at a Bank I Don’t Have an Account With? The simple answer to this question is generally “no”, you cannot cash a check at just any bank. However, there are banks and credit unions that might be more likely to cash your check for you, depending on the circumstances. If you receive a personal check from someone, the best place to try to cash the check is the bank or credit union from which the funds will be withdrawn. For example, if it is a Wells Fargo check, go to a Wells Fargo branch. Before a teller will cash the check, the bank will confirm that the account holder who wrote the check has the necessary funds in their account to cover it. They will also ask to see proper identification from you. If you are not the payee written on the check and/or if the check is more than six months old, the bank may reserve their right to refuse to cash the check. If they do decide to cash the check, they will often charge a fee, so be sure to ask about their fee structure before handing over the check. In some cases, even if you do have a bank account, it still might be worth your while to go to the account holder’s bank or credit union to cash the check they gave you. Since the financial institution can easily determine if the account holder has funds to cover the check, they should allow you to have the full amount of the check (less any fees) right on the spot. Your own bank or credit might put a limit on how much cash you can receive from cashing the check, and they may keep the rest of the funds in your account until the check actually clears. Where Else Can I Cash Checks? If you don’t have an account with a bank or credit union, you can always go to a check cashing, cash advance, or payday loan establishment. However, these types of businesses are notorious for their exorbitantly high fees. A better option is to try your local grocery store, supermarket, or convenience store. They’ll require photo ID and they will most likely charge a fee as well, but their fee structure will always beat the fees charged by establishments whose only source of income is through check cashing. Simply go to the store’s customer service area to inquire about their fee structure. As with other institutions, they have the right to refuse to cash any check that looks suspicious. Also, the older the check (more than 6 months old), the less likely they will cash it. If it is a smaller mom and pop establishment, keep in mind that they might have limited amounts of cash on hand, so don’t sign the back of the check until you know they have enough funds to cover it. Cashing a check is much like any other financial transaction: the main issue is how high the fee will be each time you conduct the transaction. If you cash a lot of checks, it might be worth your while to open up an account at a bank or credit union, even if you do not really use the account for anything else. To find out, add up all the check cashing fees you incur in an average month, then see if there are other options that costs less.